This is a Bad situation for all exposed to the Rad. Now included, for the 11th Week of 2018 just passed, all cities above 11,000,000 CPM Year to Date [YTD] of deadly Gamma Radiation and its unpublished radioactive kin. A Count is One Radioactive Decay. SUBSCRIBE to Million A Week Club Email updates. The line for the Max Normal Safe Level of Gamma Radiation is added. It will be calculated and added every 90 days and run for a week. Currently, all of the RadNet monitors are deployed to US cities with high Gamma radiation levels. It is not known when or if this will change. The Pollen season is in full swing now and is packing a serious surprise. Due to the nature of the differing electrical charges of Pollen and the Gamma Rads they actually attract each other and lock together. Think weaponized Pollen for you, your relatives and friends. Unlikely, since the Empire requires nuclear weapons. The reactors make Plutonium 239 [Pu239]. It is used to make Hydrogen Bombs. There is no known limit to an H-Bomb’s size. 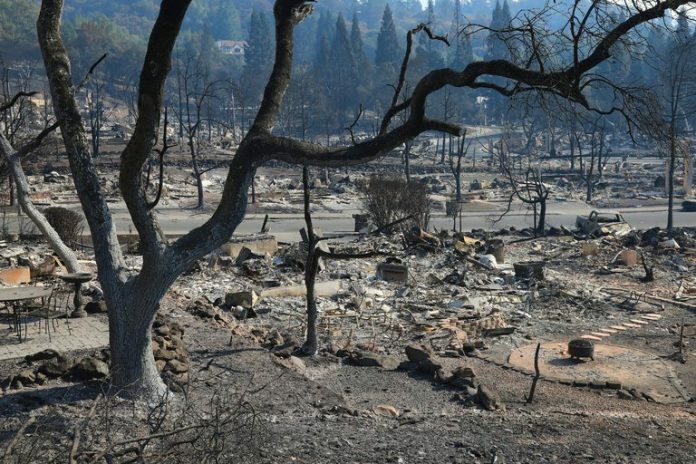 The sad cover story of “global warming” is pathetic. Corporations own the reactors cooking the planet and won’t shut the reactors. Don’t forget the people who own this country make a fortune from the reactors. It is, therefore, none of our business. Kapish? There were 1,992 Hours, or 83 Days, from January 1, 2018, to Midnight March 24, 2018. Invariably some of the 135 RadNet radiation monitoring stations fail to file all the hourly reports on time. In that case, the missing reports are filled in with the average radiation count of the reports that were filed. Not a perfect system; but, machines DO fail. The radiation never skips a second, though. When missing values are calculated using the Average Values YTD method the number of affected cities above 11 Million Counts are Bad News. The radiation counts are recounted from January 1 each week so no late reports will be missed. All are above the so-called “safe” level of Total Gamma Radiation. That is a political fiction anyway. The Trolls who chant that are lying to your face while stabbing you in the back. Target Population Column Added. A Column displaying the latest Official Census in 2010 in the surrounding area to the nuclear site is shown. It is the Standard Metropolitan Area Census Report. All of the Target Population are subject to random murder and/or illness from the daily radioactive emissions of the nuclear plant or weapons site. The US Government thinks that nuclear weapons and the huge supportive nuclear industry are required for the national defense. It makes no difference now, though. We’re all dead people walking. It’s been about 73 years now and no person or nation has convinced the US government to change the nuclear policy. Since the reactors leak Rads every day and have since their construction; the nation is long past saving. 2013 Recorded Rad CPM: Zero, Radiation Count Data Not Available to the Public. The number of US Cities recording more than 1,000,000 [One Million] Gamma Rads a Week soared in just a few days at the end of January 2018. Since Rad Records are still being processed, the alarming number of cities recording a Million Rads a Week will climb further still. Weapons and Reactors are the only sources of Rads on this planet. Colorado Springs now routinely records a measured average of about 10,000 CPM per Hour. That is a … bunch. These are measured and recorded annual total Rads for reporting cities in the United States since 2006. Total Year Rad readings for Total Gamma Radiation reporting cities are listed. Most reporting American cities exceed Tokyo in Radiation levels. That was a surprise. STAY INFORMED, get email updates by subscribing here. Watch for details on my ebooks on Fukushima and “GI Brains Fried by Military Dispensed Nose Candy”. Thank you for your support. 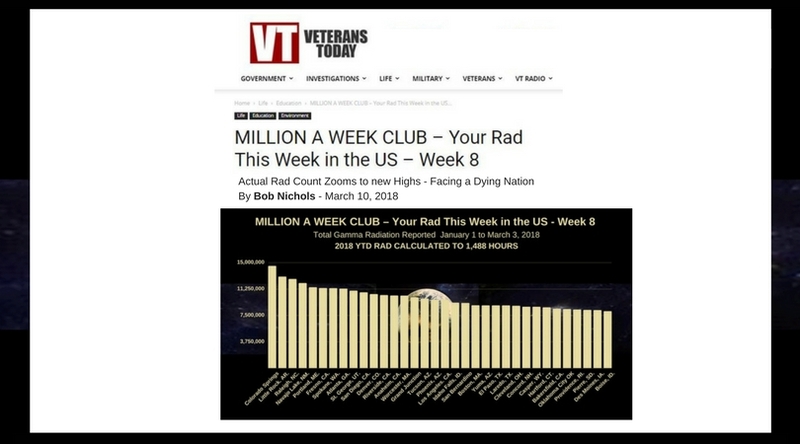 Watch the Your Radiation This Week – Million a Week Club video channel for more details, including charts, graphs and maps. * 2006 RadNet public startup. These are the 24 Hour a day recorded Total Gamma Radiation numbers in CPM [Counts per Minute] measured highs affecting people around the United States. Be prepared for a shock, these Year to Date totals are really big radiation numbers. These levels are dangerous to people, animals, and plants. If you absorb very much of this radiation, at all, you turn stupid [compulsary mental retardation] and die. The Rad numbers are your guide to your exposure to the Rad. How much you already absorbed in your daily life is really hard to find out. The nine Nuclear Weapons Labs in the US know, of course. The radiation data are currently Restricted and Withheld for all Normals; except for Gamma Radiation through EPA. Notice: It is necessary for public health and because the many nuclear reactors are venting radioactive gases constantly so stay inside as much as possible. All residents should stay inside at nights and on weekends. It’s your life, your choice. The Rad is always cumulative. What you absorbed before now is still inside you. Especially hard hit are the cities listed in YRTW YTD ELE. 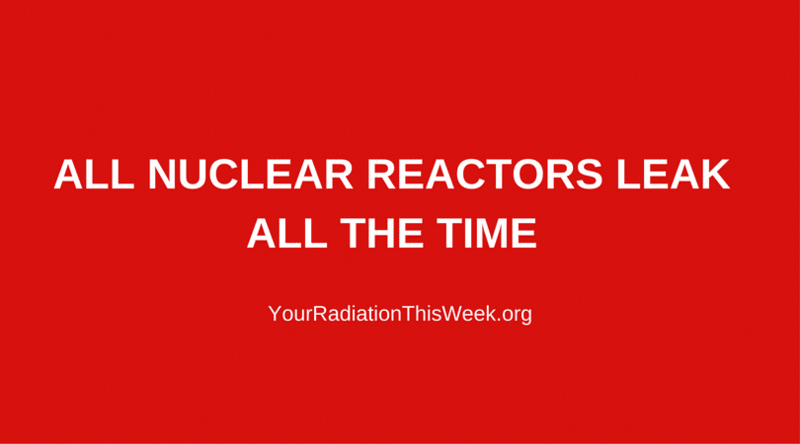 See the latest “Your Radiation This Week,” “Million a Week Club” or “TOTAL GAMMA RADIATION” reports for the most recent list. You may purchase reports for a small charge. The SPOTLIGHT on Rad in Colorado Springs is to present the records for the Total Gamma Radiation in Colorado Springs for the past Eleven Plus years. Beta Rad Counts are no longer published by RadNet. The single word “WITHHELD” replaces the former mathematical notation “-0-“. Other radiation species are also Withheld by the US government. That should be crystal clear now for most Americans. The valuable Beta Count is history just when we could use it most. It was used to track Beta water lakes under leaking reactors. Beware: Radioactive Beta Water combines easily with Humans, animals, and plants. Read it and weep. It is a done deal and cannot be changed. To be eligible a city must sport a Gamma Radiation of at least a Million Gamma Rads a Week. It is NOT a good club to be in. There is no prize, only death, disease and chaos. I requested the radiological efficiency recording number for the radiation monitoring units from RadNet and EPA. As they say, we’ll see what happens with that. New Rad Measurement. Year to Date, 24 Hours a Day Rad numbers are added to the report for all reporting cities. Rad Counts, called CPMs, are in the tens of millions everywhere in the States. 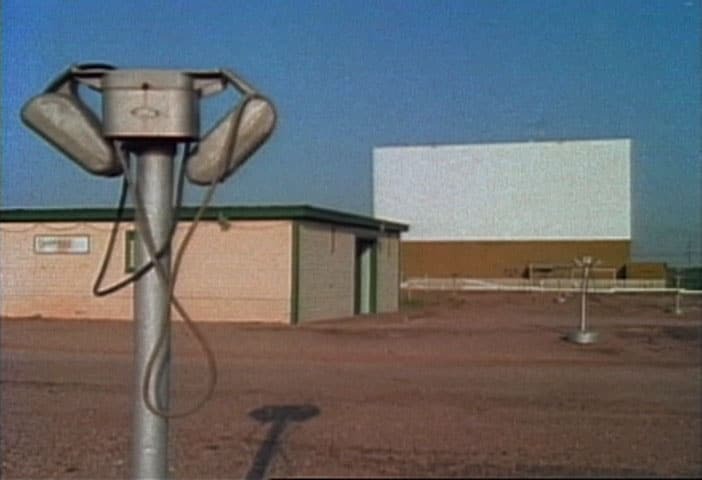 All American reporting cities are more radioactive than Metropolitan Toneri Park in Tokyo. What? Sue TEPCO and the Government of Japan over Fukushima Daiichi … and Win! Incredible! You bet your bottom dollar! Lead Attorney Katsuyoshi Suzuki is the Super Lawyer who beat the combined forces the Tokyo Electric Power Company [TEPCO,] a huge corporation and the Japanese government. He and the legal team are to be applauded worldwide. YRTW ELE readers can read the Japan Times article “In [a] First, Government and TEPCO Found Liable for Fukushima Disaster.” Anyone can look up the case on my Soc Media accounts. See under “Resources” below. Watch for: Coming up soon. Trying to have kids? The Fertility Rate in the States is Clobbered by the unrelenting Rads attack on Sperm and Eggs, not to mention Zygotes and Fetuses. This is a Bad situation for all exposed to the Rad. 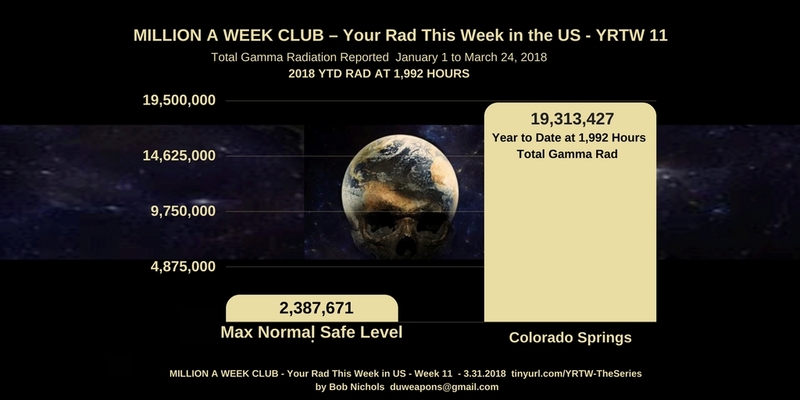 Now included, for the 8th Week of 2018 just passed, all cities above 8,000,000 CPM Year to Date of deadly Gamma Radiation and its unpublished radioactive kin. A Count is One Radioactive Decay. First published on Bob Nichols Veterans Today column. See entire and sortable Table of Poisoned American Cities there. SUBSCRIBE for Million A Week Club email updates. In that case, the missing reports are filled in with the average radiation count of the reports that were filed. Not a perfect system; but, machines sometimes fail, the radiation never skips an hour, minute or second though. When missing values are calculated using the Average Values YTD method and added to the Recorded Counts the number of affected cities above 8 Million Counts jumps to 34 cities. Again, the missing reports are expected to be filed in the next few weeks. For now the missing reports are filled in by the average radiation since the first of the year. The US Government thinks that nuclear weapons and the huge supportive nuclear industry are required for the national defense. So there you have the problem set. I disagree. It’s been about 73 years now and no person or nation has convinced the US government to change the nuclear policy. Since the reactors leak Rads every day, and have since their construction; the nation is long past saving. There is nothing that can be done now. Since Rad Records are still being processed, the alarming number of cities recording a Million Rads a Week could climb further still. Weapons and Reactors are the only source of Rads on this planet. Colorado Springs now routinely records a measured average of about 10,000 CPM per Hour. That is a … bunch. STAY INFORMED, get email updates at by subscribing here. Watch for details on my ebooks on Fukushima and GI Brains. Thank you for your support. These levels are dangerous to people, animals and plants. If you absorb very much of this radiation, at all, you turn stupid and die. Notice: It is necessary for public health and because the many nuclear reactors are venting radioactive gases constantly to stay inside as much as possible. Other radiation species are also Withheld by the US. That should be crystal clear now for most Americans. The valuable Beta Count is history just when we could use it most. It was used to track Beta water lakes under leaking reactors. Beware: Radioactive Beta Water combines easily with Humans, animals and plants. New Rad Measurement. Year to Date, 24 Hours a Day Rad measurements are added to the report for all reporting cities. Rad Counts, called CPMs, are in the tens of millions everywhere in the States. The Table of Poisoned American Cities is changed. A new Column labeled “Tokyo Equivalent Rads” is added. The acronym is designated TER, the plural is written TERs. One TER is defined as the nSv/Hour measurement at the Rad monitor in Metropolitan Toneri Park in Tokyo, Japan. The Tokyo nSv/Hour Rad reading gives you an instant and direct comparison of your city to the Rad Monitor in Metropolitan Toneri Park in Tokyo, Japan. All American reporting cities are more radioactive than Tokyo. Lead Attorney Katsuyoshi Suzuki is the Super Lawyer who beat the combined forces the Tokyo Electric Power Company [TEPCO,] a huge corporation and the Japanese government. He and the legal team are to be applauded world wide. YRTW ELE readers can read the Japan Times article “In [a] First, Government and TEPCO Found Liable for Fukushima Disaster.” Anyone can lookup the case on my Soc Media accounts. See under “Resources” below. Look no further, Bob Nichols is the only Writer in the world that has the info for you. This is a Bad situation for all exposed to the Rad. This is the first nationwide Gamma radiation count for 2018. 3,194,531 Withheld 1/13/2018 Colorado Springs, CO.
2,579,653 Withheld 1/13/2018 Raleigh, NC. 2,463,958 Withheld 1/13/2018 Spokane, WA. 2,393,224 Withheld 1/13/2018 Denver, CO.
2,208,649 Withheld 1/13/2018 Little Rock, MIA AR. 2,101,952 Withheld 1/13/2018 Atlanta, GA.
2,076,460 Withheld 1/13/2018 Portland, ME. 2,035,789 Withheld 1/13/2018 Los Angeles, CA. 2,010,909 Withheld 1/13/2018 Idaho Falls, ID. 2013 Rad CPM: Zero, Radiation Count Data Not Available to the Public. These are measured and recorded annual total Rads for reporting cities in the United States since 2006. Year to Date Rad readings for Total Gamma Radiation reporting cities are listed. Ninety-seven US cities and Tokyo, Japan are listed. Tokyo is included for comparison purposes only, of course. These are the 24 Hour a day recorded Total Gamma Radiation numbers in CPM [Counts per Minute] measured highs affecting people around the United States. Be prepared for a shock, these Year to Date totals are really big radiation numbers. These levels are dangerous to people, animals and plants. If you absorb very much of this radiation, at all, you will turn stupid and die. Look no further, Bob Nichols is the only Writer in the world that has the info for you. This is a Bad situation for all exposed to the Rad. This is the Final and Total Gamma Rad Count for 2017. 74,512,349 Withheld 12/31/2017 Colorado Springs, CO.
67,108,496 Withheld 12/31/2017 Little Rock, AR. 65,022,783 Withheld 12/31/2017 Raleigh, NC. 63,329,587 Withheld 12/31/2017 Spokane, WA. 60,201,697 Withheld 12/31/2017 Worcester, MA. 57,926,702 Withheld 12/31/2017 Riverside, CA. 57,603,757 Withheld 12/31/2017 Portland, ME. 53,568,967 Withheld 12/31/2017 Los Angeles, CA. 53,555,297 Withheld 12/31/2017 Idaho Falls, ID. 52,796,421 Withheld 12/31/2017 San Bernardino, CA. 51,350,321 Withheld 12/31/2017 Hartford, CT. CT.
51,255,238 Withheld 12/31/2017 Boston, MA. 49,087,561 Withheld 12/31/2017 Augusta, GA.
48,507,322 Withheld 12/31/2017 Denver, CO.
47,650,670 Withheld 12/31/2017 Oklahoma City, OK.
47,570,766 Withheld 12/31/2017 Tucson, AZ. 47,053,734 Withheld 12/31/2017 Atlanta, MIA GA.
46,781,786 Withheld 12/31/2017 Concord, NH. 45,879,242 Withheld 12/31/2017 El Paso, TX. 45,060,088 Withheld 12/31/2017 Yuma, MIA AZ. 44,549,684 Withheld 12/31/2017 Fresno, CA. 43,558,744 Withheld 12/31/2017 Reno, NV. 43,091,356 Withheld 12/31/2017 Casper, WY. 41,141,992 Withheld 12/31/2017 Billings, MT. 41,040,590 Withheld 12/31/2017 Anaheim, CA. 40,777,740 Withheld 12/31/2017 Cleveland, OH. 40,691,900 Withheld 12/31/2017 Navajo Lake, NM. 40,156,947 Withheld 12/31/2017 Bismark, ND. 39,620,486 Withheld 12/31/2017 Boise, ID. 38,840,047 Withheld 12/31/2017 Wichita, KS. 38,761,285 Withheld 12/31/2017 Grand Junction, CO.
38,641,613 Withheld 12/31/2017 Pierre, SD. 38,487,252 Withheld 12/31/2017 Mason City, IA. 38,355,531 Withheld 12/31/2017 Kansas City, KS. 38,083,780 Withheld 12/31/2017 Champaign, IL. 37,852,848 Withheld 12/31/2017 Rapid City, SD. 37,609,077 Withheld 12/31/2017 Harrisonburg, VA.
37,540,133 Withheld 12/31/2017 Pittsburgh, PA.
37,494,482 Withheld 12/31/2017 Virginia Beach, VA.
36,749,551 Withheld 12/31/2017 Tallahasee, FL. 36,726,805 Withheld 12/31/2017 Lincoln, NE. 36,306,007 Withheld 12/31/2017 Richland, WA. 36,185,348 Withheld 12/31/2017 Albuquerque, NM. 35,834,458 Withheld 12/31/2017 Bakersfield, CA. 35,471,273 Withheld 12/31/2017 Tulsa, OK.
35,279,515 Withheld 12/31/2017 New York City, NY. 35,075,102 Withheld 12/31/2017 Richmond, VA.
34,923,193 Withheld 12/31/2017 Providence, MIA RI. 34,519,310 Withheld 12/31/2017 Ft. Smith, AR. 34,103,326 Withheld 12/31/2017 Madison, WI. 34,103,326 Withheld 12/31/2017 Memphis, TN. 33,891,572 Withheld 12/31/2017 Charleston, WV. 33,820,286 Withheld 12/31/2017 Kearney, NE. 33,782,273 Withheld 12/31/2017 Detroit, MI. 33,267,689 Withheld 12/31/2017 Lockport, NY. 32,785,018 Withheld 12/31/2017 Amarillo, TX. 32,378,346 Withheld 12/31/2017 Aurora, IL. 32,344,096 Withheld 12/31/2017 Shreveport, LA. 31,067,027 Withheld 12/31/2017 Carlsbad, NM. 30,714,173 Withheld 12/31/2017 Birmingham, AL. 30,509,646 Withheld 12/31/2017 Omaha, NE. 30,253,149 Withheld 12/31/2017 Shawano, WI. 30,195,089 Withheld 12/31/2017 Rochester, MIA NY. 30,013,635 Withheld 12/31/2017 Indianapolis, IN. 29,481,284 Withheld 12/31/2017 Knoxville, TN. 29,457,641 Withheld 12/31/2017 Ft. Worth, TX. 29,035,250 Withheld 12/31/2017 Salt Lake City, UT. 27,934,940 Withheld 12/31/2017 Eureka, CA. 27,710,642 Withheld 12/31/2017 San Jose, CA. 27,551,984 Withheld 12/31/2017 St. George, UT. 27,443,331 Withheld 12/31/2017 Des Moines, MIA IA. 27,301,302 Withheld 12/31/2017 San Francisco, CA. 27,107,182 Withheld 12/31/2017 Corpus Christi, TX. 27,058,634 Withheld 12/31/2017 Phoenix, AZ. 26,783,682 Withheld 12/31/2017 Montgomery, AL. 26,431,513 Withheld 12/31/2017 Duluth, MN. 26,405,180 Withheld 12/31/2017 St. Paul, MN. 26,317,684 Withheld 12/31/2017 Dallas, TX. 26,053,164 Withheld 12/31/2017 Philadelphia, PA.
26,043,914 Withheld 12/31/2017 Houston, TX. 25,664,047 Withheld 12/31/2017 Baton Rouge, LA. 25,399,506 Withheld 12/31/2017 Burlington, VT.
24,264,513 Withheld 12/31/2017 Paducah, KY.
23,072,404 Withheld 12/31/2017 Yaphank, NY. 22,907,599 Withheld 12/31/2017 Nashville, TN. 20,567,138 Withheld 12/31/2017 Mobile, AL. 20,180,916 Withheld 12/31/2017 San Antonio, TX. 19,780,632 Withheld 12/31/2017 Chicago, IL. 19,638,351 Withheld 12/31/2017 Laredo, TX. 19,404,931 Withheld 12/31/2017 Miami, FL. 17,122,951 Withheld 12/31/2017 Washington, D.C.
16,788,979 Withheld 12/31/2017 Tampa, FL. 15,881,245 Withheld 12/31/2017 St. Louis, MO. 15,760,750 Withheld 12/31/2017 Fairbanks, AK. These are the 24 Hour a day recorded Total Gamma Radiation in CPM measured highs affecting people around the United States. Be prepared for a shock, these Year to Date totals are really big radiation numbers. The Rad numbers are your guide to your exposure to the Rad. How much you already absorbed in your daily life is really hard to find out. The Nuclear Weapons Labs know, of course. The data are currently Restricted for all; except for Gamma Radiation through EPA. Notice: It is necessary for public health and because the many nuclear reactors are venting radioactive gases and steam at nights and on weekends. Especially hard hit are the cities listed in YRTW YTD ELE. See the latest Your Radiation This Week or TOTAL GAMMA RADIATION report for the most recent list of the 97 reporting contaminated cities plus Toneri Metropolitan Park in Tokyo, Japan. Last complete list is Here. The SPOTLIGHT on Rad in Colorado Springs is added to present the records for the Total Gamma Radiation in Colorado Springs for the past Eleven years. Beta Rad Counts are no longer published by RadNet. The single word “WITHHELD” replaces the former mathematical notation “-0-“. That should be crystal clear now for most Americans. The valuable Beta Count is history just when we could use it most. It was used to track Beta water lakes under leaking reactors. Radioactive Beta Water combines easily with Humans. Million a Week Club is a new publication by Bob Nichols in VT. Check out, at a glance, which cities in the USA are running a Million Rads a Week in Gamma. Bob Nichols is a Project Censored Award winner, a former correspondent for the San Francisco Bay View newspaper and a frequent contributor to various online publications. Million a Week Club No 5 – What Class Of Rad Absorber are you? Are you in a city that gets a Million Counts of Radiation a Week? First, how on earth are you going to find out? Dudes and Dudettes, that is a secret, isn’t it? Look no further, Bob Nichols is the only Writer in the world that has the info for you. This is a Bad situation for all exposed to the Rad. 71,731,736 Withheld Colorado Springs, CO.
64,648,507 Withheld Little Rock, AR. 55,843,958 Withheld Riverside, MIA CA. 52,525,749 Withheld Idaho Falls, ID. 51,817,888 Withheld Los Angeles, CA. 50,981,652 Withheld San Bernardino, CA. sortable Table of Poisoned American Cities is there. These are measured and recorded annual total Rads for reporting cities in the United States since 2006. Year to Date Rad readings for Million a Week Rad reporting cities are listed. The Rad numbers are your guide to your exposure to the Rad. How much you already absorbed in your daily life is really hard to find out. The Nuclear Weapons Labs know, of course. Notice: It is necessary for public health and because the many nuclear reactors are venting radioactive gases and steam at nights and on weekends. All residents should stay inside at nights and on weekends. It’s your life, your choice. The Rad is always cumulative. What you absorbed before now is still with you. Especially hard hit are the cities listed in YRTW YTD ELE. See the latest Your Radiation This Week or TOTAL GAMMA RADIATION report for the most recent list of the 98 reporting contaminated cities plus Toneri Metropolitan Park in Tokyo, Japan. The valuable Beta Count is history just when we need it most. It was used to track Beta water lakes under leaking reactors. Beta Water combines easily with Humans. A new publication by Bob Nichols. Check out, at a glance, which cities in the USA are running a million Rads a Week in Gamma. The 50th week of the year just concluded. To be eligible a city must sport a Gamma Radiation of at least a Million Gamma Rads a Week It is NOT a good club to be in. There is no prize, only death and disease. YRTW ELE readers can read the Japan Times article “In First, Government and TEPCO Found Liable for Fukushima Disaster.” Anyone can lookup the case on my Soc Media accounts. See under “Resources” below. The amount of Rad in the air now Dooms Humanity to a relatively quick Extinction. 2. The EPA based reporting of NETC, an LLC. Million a Week Club No 5- What Class of Rad Absorber are you?